This is a game between two sides with a great history and this will be the 10th meeting between the two sides in Moscow. Efes have a poor away record against CSKA, the history stands at 7-2 in CSKA’s favour and the last time that Efes triumphed in Moscow against CSKA was in 1999. If you take history and past scores as the basis for your Euroleague betting activities, you will be looking at a home win for this game. If CSKA Moscow power away with this game, you can probably expect Nando De Colo to have a big part in the final outcome. This is because he has notched an average of 15.2 points per game this season, helping his team to achieve a high level of consistency throughput the campaign. Andrey Vorontsevich has been in impressive form, offering up an average of 5.8 rebounds per game while Milos Teodosic has an excellent record in providing an average of 7.1 assists per game so far this campaign. If the Turkish side are going to grab anything from this game, you can expect Dario Saric to be on form. He has grabbed an average of 10.1 points per game while also offering up an average of 5.3 rebounds per game so far this campaign. Dontaye Draper has also been an influential player for Efes, providing an average of 3.5 assists per game so far this campaign. With respect to overall points scored, CSKA are clear leaders with an average of 88.1 points per game this season while Anadolu have an average of 75.3 points per game. The home side have a 17-2 record so far in the campaign. The highly impressive 10-0 record for the Euroleague still stands and the 7-2 record for the Top 16 sees the Moscow side sitting in a strong position for the play-offs. Anadolu provide a 10-9 record so far this season with a 6-4 regular season record and they currently hold a 4-5 record for the Top 16. Efes moved to the top of the Turkish domestic league with a 16-5 record. This is the same record as Fenerbahce but Anadolu have nipped ahead of their rivals. The most recent domestic game for Anadolu was a 64-106 away win to Istanbul BSB. CSKA are clear at the top of the Russian league, sitting with a 21-3 record while their nearest rival, Khimky, holds a 19-3 record. 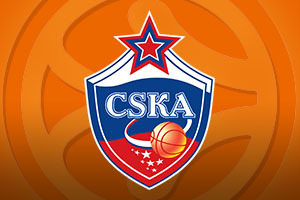 On Monday, CSKA recorded an 88-101 win away to Krasny Oktyabr. CSKA Moscow are big favourites for this game and even taking them with a -10.5 handicap, at odds of 1.90, is likely to be a strong option. If you are keen to take on the Over/Under market, you will find that going OVER 157.5, at odds of 1.90, is a great bet. 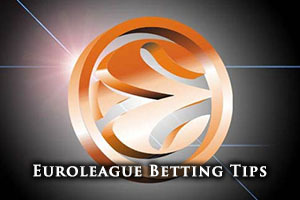 These bets can be found on Bet365, alongside a number of other great Euroleague bets. If you are keen to watch CSKA Moscow v Anadolu Efes Istanbul live on Friday the 13th of March, we can help you out. Bet Now!